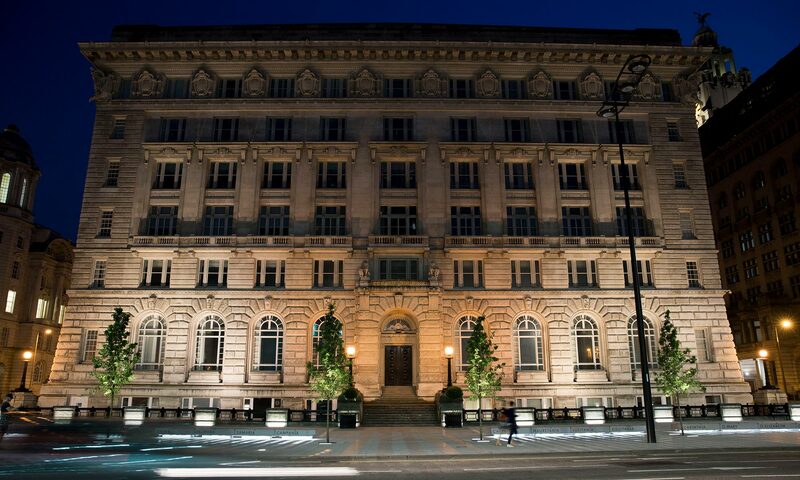 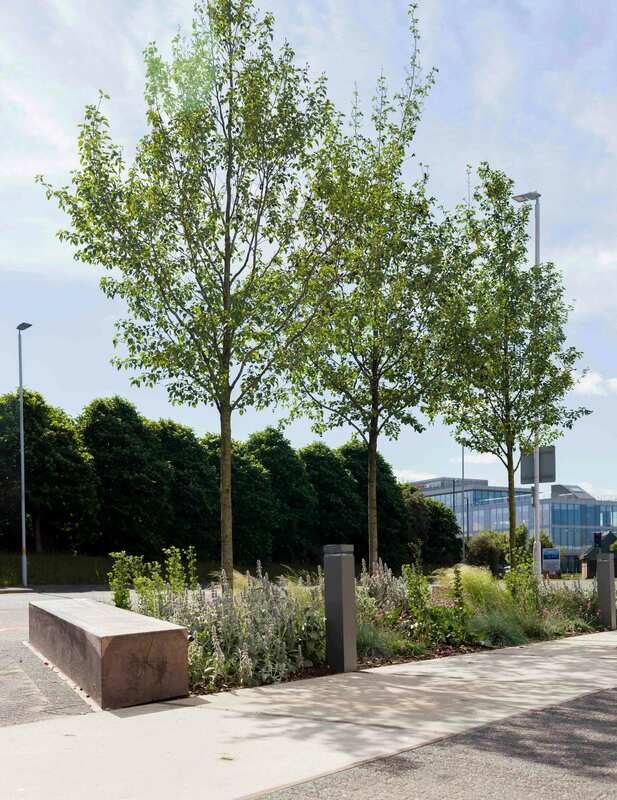 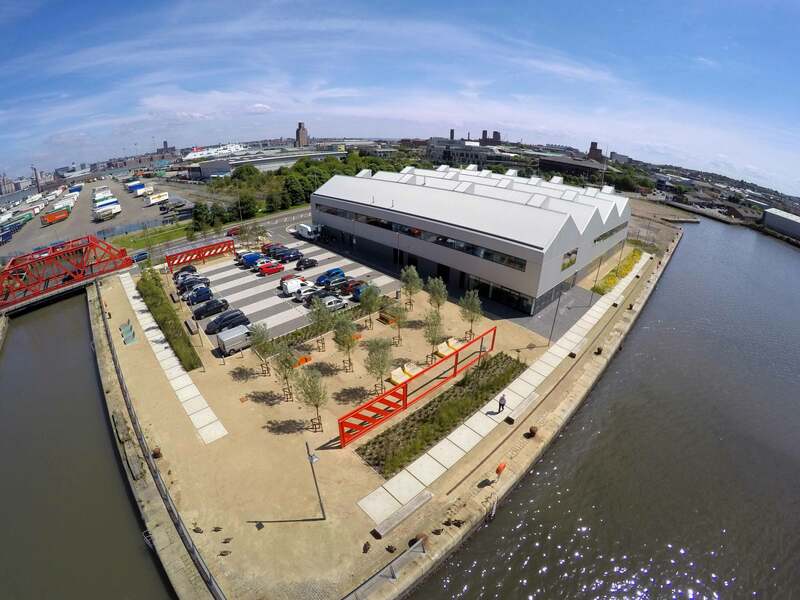 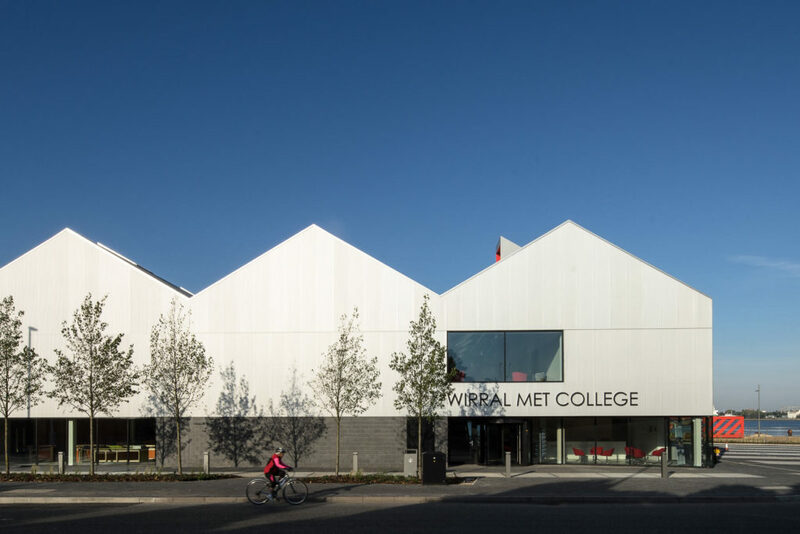 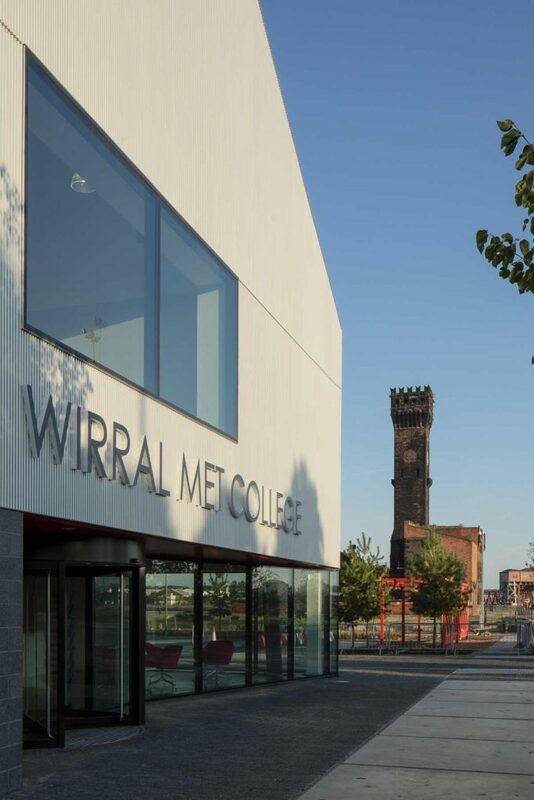 The Built Environment, Skills and Enterprise Centre at Wirral Metropolitan College, Birkenhead delivers a leading facility for the acquisition of technical skills, providing a local skill-base to deliver elements of the wider Wirral Waters masterplan over the next 30 years. 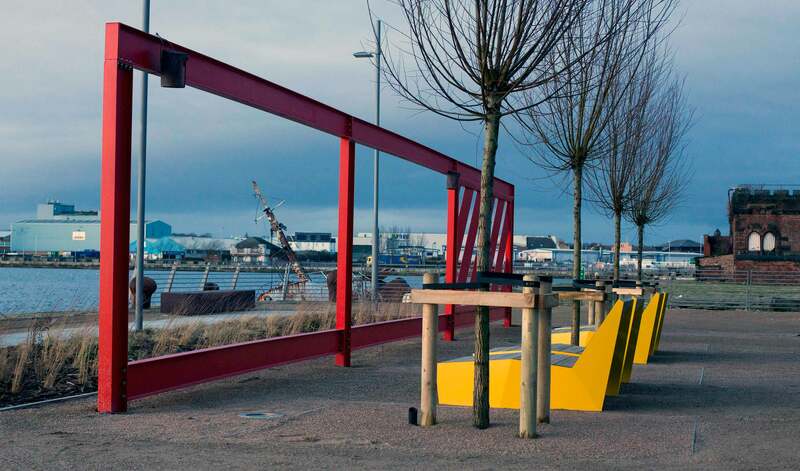 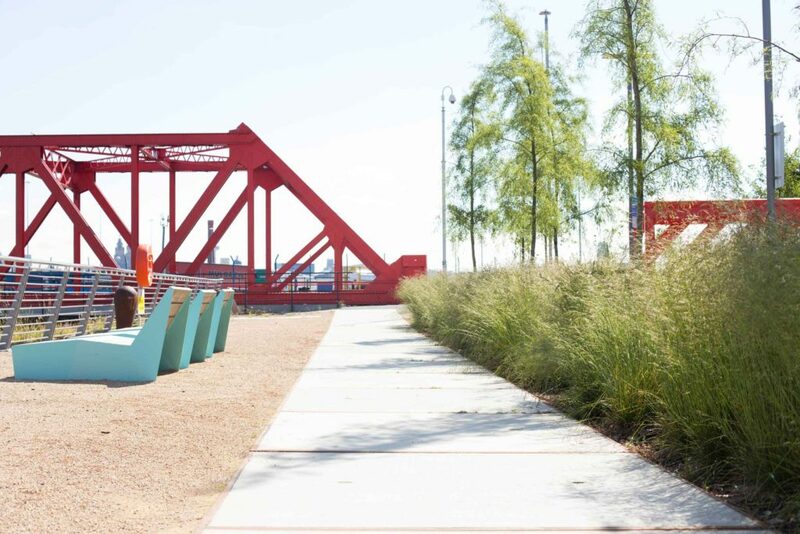 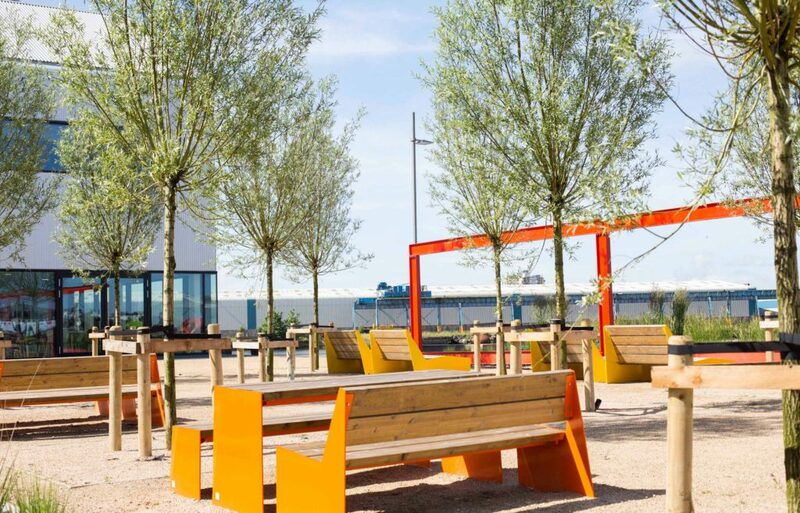 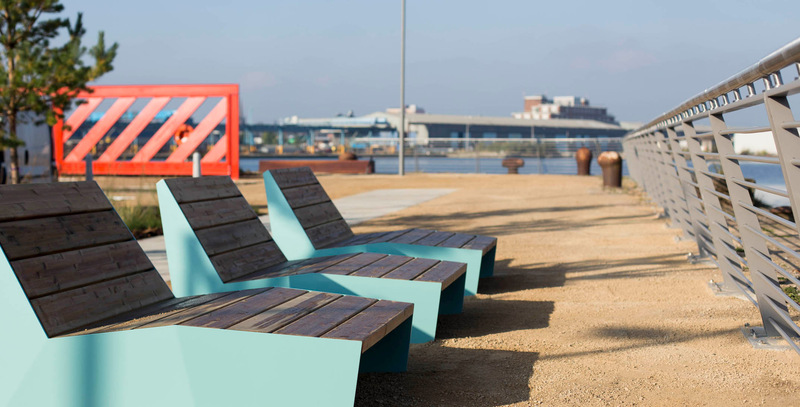 Bold colours and forms, robust materials, close attention to details and new blocks of trees transform a derelict dock edge into an iconic and memorable landscape in scale with the post-industrial waterside neighbourhood. 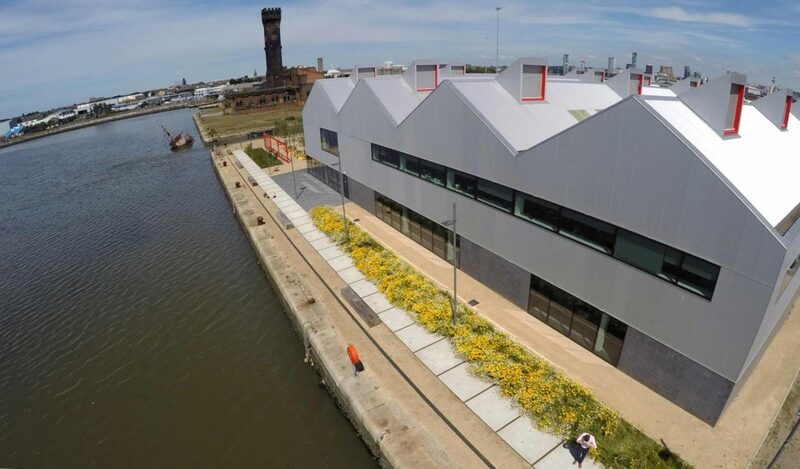 The scheme is the first building in the £4.5 billion masterplan and acts as a benchmark for the wider Wirral Waters development. 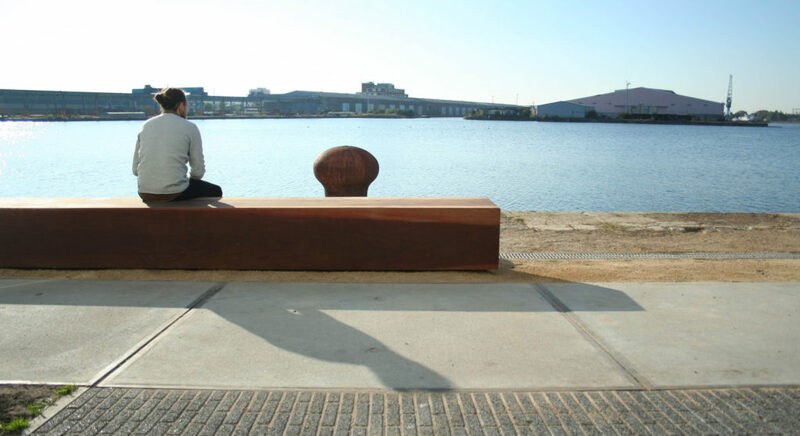 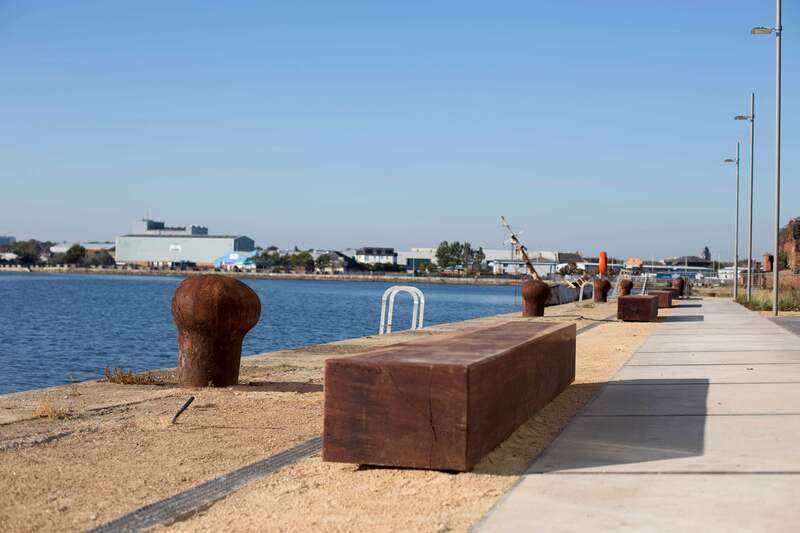 It has a strong, sculptural form reflecting its dockland heritage. 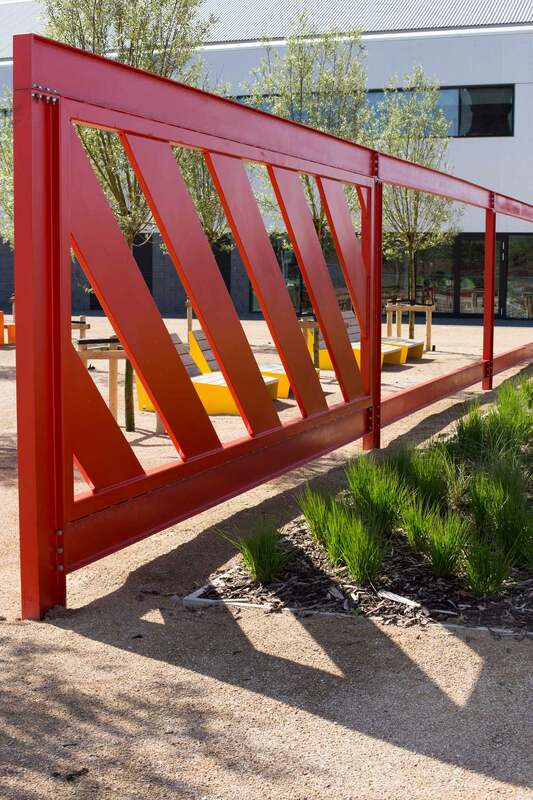 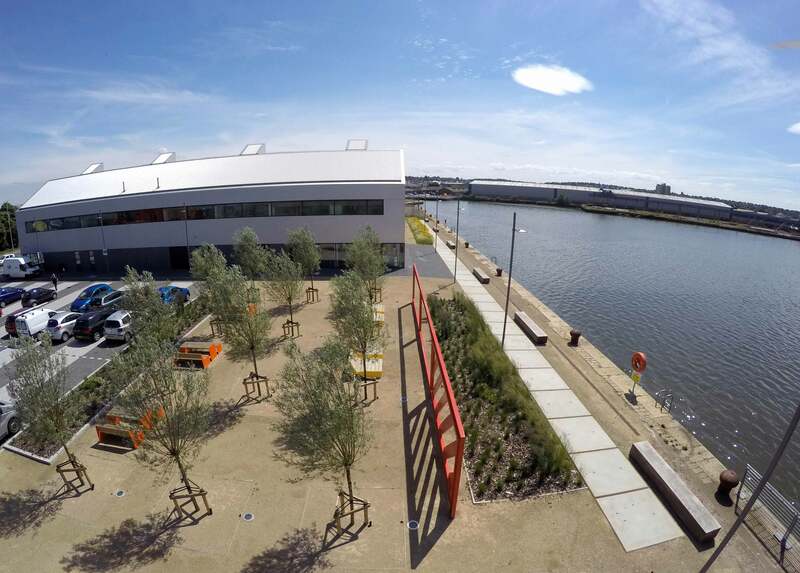 A successful creative collaboration between Peel, the college, the design team and the contractor has managed to achieve a successful building and landscape that is fit for purpose but also has, in the process helped to shape both the careers of the students who use the building and help to change the future of this once prospering dock.